article from espn.com. image from yahoo sports. Connecticut's Maya Moore was named the national player of the year by the U.S. Basketball Writers Association. Moore led the Huskies to their fourth straight Big East title and trip to the Final Four. She averaged 22.5 points, 8.2 rebounds and 4.0 assists a game this season. Moore is the third two-time USBWA player of the year joining Tennessee's Candace Parker and Chamique Holdsclaw. She is the second player to earn USBWA All-America honors four times joining Oklahoma's Courtney Paris. Baylor's Kim Mulkey was named the national coach of the year and Baylor's Odyssey Sims national freshman of the year. Mulkey led the Lady Bears to a 34-3 record, the Big 12 championship and the Elite 8. Sims led the Big 12 in 3-point field goal percentage and averaged 13.1 points a game. 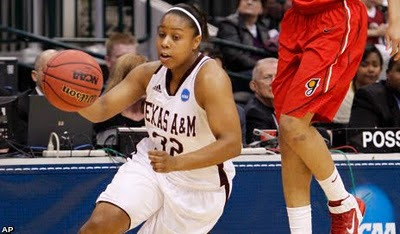 Adrienne Pratcher (East), sophomore point guard for Texas A&M is the lone Memphian still playing in the NCAA Tournament. On Sunday, Adrienne had a career high 9 points as Texas A&M defeated Georgia 79-38. Adrienne was competing against fellow Memphian, Jasmine James (Bartlett). Jasmine lead Georgia with 10 points. & Disney Spring Classic Events. There are halftime chats and then there are coach's rants. Pat Summitt hasn't won 1,071 games by not knowing when to let her team have it. Summitt absolutely lit up her Tennessee Lady Vols at the break and their regional semifinal game Saturday tilted soon after. With Shekinna Stricklen scoring 14 of her 20 points in the second half and touching off a critical 11-3 second-half run, Summitt and the Lady Vols moved into their accustomed spot in the Elite Eight with an 85-75 win over Ohio State. Utilizing its vaunted pressure defense, the Lakers took over the second half and cruised to an impressive 69-50 victory over Michigan Tech in the 2010-11 NCAA Division II National Championship game at the St. Joseph Civic Arena. The national championship was the first for Clayton State in any sport in its athletic history. 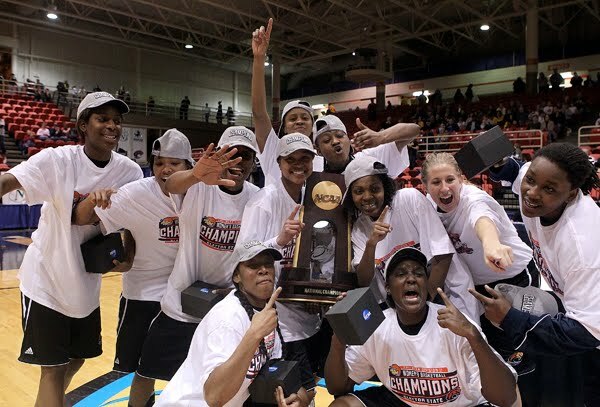 In addition, the Lakers became the first women’s basketball team to win a national championship from the Peach Belt Conference and the first women’s basketball team to win a national championship for a four-year program in the state of Georgia. Azusa Pacific completed a journey Tuesday night, a route that both began and ended in Jackson’s Oman Arena, where the NAIA Division I Women’s Basketball National Championship ended its 21-year run with Jackson as the host city when the Cougars defeated 2-time defending champion Union (Tenn.) University, 65-59, Tuesday night for the program’s first-ever national title. LaTesa McLaughlin (Millington) is a freshman guard for Union University. Hasina Muhammad (Ridgeway) recently received her invitation to participate in the 2011 Fila All-American Game on April 16, 2011 at the University of North Carolina. Hasina will be one of 22 top prep seniors in the nation participating in this event. 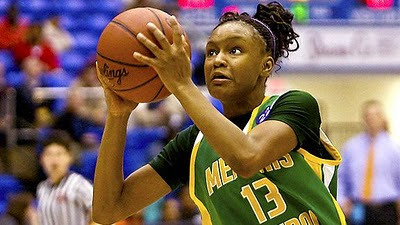 This is the fourth All-American Game (previously known as the L’adidas Roundball Classic) and it helped launch the successful careers of future collegiate and professional standouts such as Diana Taurasi, Charde Houston, Alana Beard, Candice Wiggins and Nicole Powell. 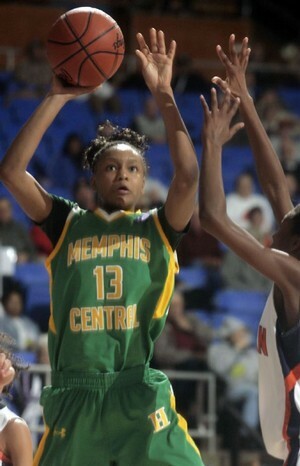 Nina Davis helped lead Memphis Central to a state championship with her gritty play. Year after year, the state of Tennessee offers up some of the best individual and team play in high school girls' basketball. This year's TSSAA BlueCross AAA State Championship offered plenty of evidence that this season was no different. From the looks of the rosters of both teams in the championship game, the future of the Volunteer State is looking pretty bright as well. Only four seniors were to be found in the combined Memphis Central (Memphis, Tenn.) and Riverdale (Murfreesboro, Tenn.) lineups, with only one getting the starting nod. Central's win in the title game Saturday night avenged an earlier January two-point loss to the defending state champs from Riverdale. The game also offered some emotional healing following the tragic death of former Warrior standout and Middle Tennessee guard, Tina Stewart. Stewart, whose funeral was held Saturday in Memphis, was fatally stabbed in her Murfreesboro apartment on March 2. Throughout the competition, several players demonstrated why college coaches constantly keep the state of Tennessee on their recruiting radar. Many of the standout performances were from young players we've evaluated in the past, who are beginning to come into their own; as well as a couple who are going to generate some interest this summer and be looking to lead their teams back to Murfreesboro next season. They earned the right to shed a few tears. They earned the right to act a little silly, to wear their commemorative caps proudly. They also earned the right to be called champions. Tournament Most Valuable Player Nina Davis and Danielle Ballard each scored 21 points Saturday to lead Central High to a 72-59 victory over Murfreesboro Riverdale at the Murphy Center on the campus of Middle Tennessee State University. The championship is the first for a Memphis-area AAA team since 1985, when Melrose accomplished the feat. According to the TSSAA record book, Central's last state title came in 1922. "I just thank God after all we've been through," said junior Aailyah Whiteside. "It just feels so good to have it." Added Davis, "This is something that I've been wanting since I was a little kid. I'm just trying to catch all my emotions right now." The Warriors (29-9) won the championship on the same court where former Central star Tina Stewart played. Stewart was fatally stabbed, and her MTSU roommate charged a week and a half ago. Stewart was laid to rest Saturday in Memphis and coach Niki Bray made the drive back, returning in time to coach her team. She said it's the fifth time in the last 10 days she's made the trip. "I went from crying this morning to feeling amazingly calm," she said. "I tell these girls if you work hard and do things the right way, good things will come. Hard work does pay off. "I just prayed so hard. If we hadn't won this game, what would I tell them?" Ballard, who made a pair of free throws with one second left to cap her big game, was overcome with tears while on the line. She said she was thinking not only of Stewart, but of Central student William "Peanut" Bibbs Jr., who was shot to death in December. "I was just thanking Tina, thanking Peanut," said Ballard, who connected on 2-of-3 3-pointers and added 10 rebounds. "I'd known him since middle school. He was my best friend." As if that wasn't enough, Bray lost her 29-year-old sister-in-law to breast cancer last June and the team also had to deal with the death of junior forward Jalen O'Bannon's father within the last 12 months. On Saturday, O'Bannon contributed 11 points and five rebounds to help Central defeat a Riverdale team that entered with a 34-1 record, including a two-point victory over Central in Murfreesboro back in January. "That's the last time I saw (Tina)," said Ballard. "She just told me to keep working hard." Bray said the kindness of Riverdale helped her team immensely during its stay in Murfreesboro. "They honored Tina by wearing T-shirts," she said. "They let us use their gym for shootarounds. The hospitality we've been shown here has just been amazing. I told (Riverdale coach) John (Wild) before the game, there would be no losers (Saturday)." Central trailed by two, 47-45, heading into the final quarter. But two buckets in transition by Whiteside helped Central build a 57-51 lead that the Lady Warriors gradually stretched out over the final few minutes. Central outscored Riverdale 27-12 in the fourth quarter. Tyisha Petty led Riverdale with 20 points before leaving the court on a stretcher after colliding with Whiteside while chasing a loose ball in the fourth quarter. It appeared as though she had gotten poked in the eye, but Wild said after the game that his player was being treated for a concussion. Riverdale's Shacobia Barbee, who was named Class AAA Miss Basketball after the game, had 16 points and 12 rebounds. In its third decade of honoring the nation’s best high school athletes, The Gatorade Company, in collaboration with ESPN RISE, today announced its 2010-11 State Girls Basketball Player of the Year award-winners, representing the 50 states and the District of Columbia. The award recognizes not only outstanding athletic excellence, but also high standards of academic achievement and exemplary character demonstrated on and off the court. Shacobia Barbee F, Riverdale (Murfreesboro, Tenn.) was named Tennessee Gatorade Player of the Year. Nina Davis scores two of her team-high 17 points in leading the Lady Warriors past Murfreesboro Blackman on Thursday. The Central Lady Warriors picked up the tempo here Thursday, and picked up a quarterfinal victory to go with it. Using a tenacious pressure defense and forcing the pace at every opportunity, the Lady Warriors breezed past Murfreesboro Blackman, 57-38, at the Murphy Center. The victory puts the Lady Warriors (27-9) into today's 5:30 p.m. semifinal against Johnson City Science Hill. The Toppers (32-4) advanced earlier in the day with a 52-50 victory over Clarksville. "We knew if we kept the pressure on, they would start to turn the ball over," said Central guard Danielle Ballard, who had nine points and four steals. Added Aaliyah Whiteside, who had 10 points, "We knew their guards were kind of little, so we wanted to keep trapping and pressuring the ball." The strategy worked pretty close to perfection; Blackman committed 22 turnovers while being forced to play at an unfamiliar -- and unwanted -- speed. "We like to get it up and down the floor, but they forced us to play a little faster than we normally do," said Blackman coach Chad Hibdon. "We rushed some of our shots." The Warriors were playing on the home floor of former Central standout Tina Stewart. 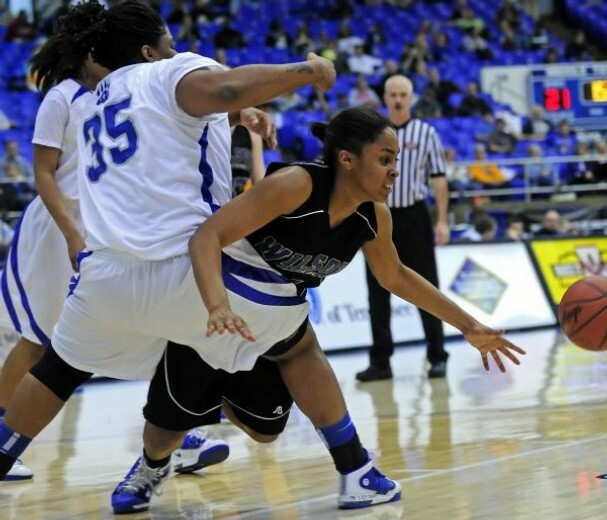 The Middle Tennessee State player was fatally stabbed and her roommate has been charged. Both teams honored Stewart in the pre-game warm-ups. Central wore purple T-shirts with Stewart's picture on the front and purple socks -- purple being Stewart's favorite color. Blackman wore T-shirts with Stewart's name on the back and the motto "2Gether." Once the game got underway, Central played with plenty of intensity and focus, hounding Blackman's ball-handlers up and down the court. After building a 22-16 lead at halftime, Central concentrated on getting the ball inside to Nina Davis, who led the Warriors with 17 points, including a 9-of-9 effort from the line. 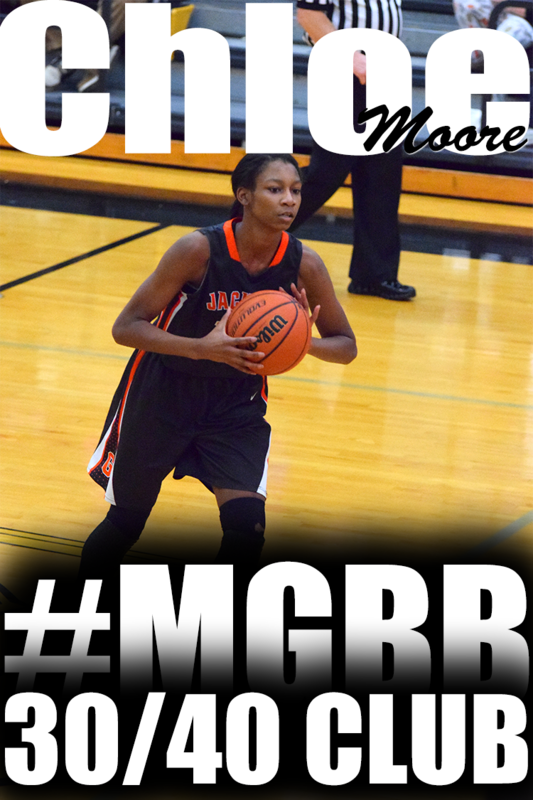 Tia Wooten chipped in with 13 for the Lady Warriors, who shot 50 percent from the floor (21-of-42). "I think we did a good job in the second half," said Lady Warriors coach Niki Bray. "We settled down and started getting some good shots. And Nina got some great and-ones. She's just so slender -- she's skinny as a stick -- that she doesn't get a lot of the calls." Said Davis, "I missed a couple early and Coach just told me to calm down. After that, I just started attacking the basket." About the only blot on Central's night was a first-half technical on Bray. "I got it for a profanity he thought he heard," she said. "I said 'God dang.' I told him 'you're ears are too sensitive.' They tell you in the pre-game that the refs will talk to you, and then they don't talk to you." Kortnay Cox scored 15 points and grabbed nine rebounds to lead the Lady Blaze, which ends the year with a 24-7 mark. Wilson Central's Ieshia Hassell (right) takes a fall and foul trying to get past Overton's Contrice Golden during Overton's 46-39 quarterfinal win Thursday. Cornelia Fondren has been waiting a full year for a shot at redemption against Murfreesboro Riverdale. She'll get her chance today. Fondren, a 5-7 junior guard, scored 10 points Thursday to help Overton defeat Wilson County, 46-39, in a quarterfinal game at the BlueCross AAA state tournament at the Murphy Center on the campus of Middle Tennessee State University. The victory sends the Wolverines into a 4 p.m. semifinal matchup against Riverdale, which improved to 33-1 with its quarterfinal victory over Knoxville West. Riverdale ended Overton's season in the semifinals last year and Fondren, by her own admission, didn't play particularly well. Now, she can't wait. "All I can say is, 'Riverdale, be ready,'" Fondren said. "This time, we're going to play harder and smarter. We're very confident right now; we've got to be." Added Wolverines coach Lynn Smith, "She's been talking about Riverdale all year." 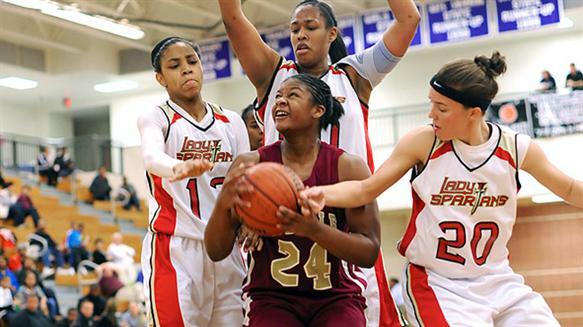 It won't be easy; the Lady Warriors have a Miss Basketball finalist in junior center Shacobia Barbee. They have been ranked first in the state all year, losing only to Murfreesboro Blackman, a defeat that ended a 55-game winning streak. "We don't have the same depth that we had last year, but players like Fondren and (Cortrice) Golden have stepped up," said Smith. "They were passengers last year. This year, they are driving the bus." Golden carried the Wolverines (30-6) in the fourth quarter Thursday, scoring nine of her 13 points. Overton led by eight points heading into the final period, but Wilson Central (26-6) battled back to tie it at 32. The 6-1 junior, affectionately known as "Big Baby," responded with two big baskets in the paint to give the Wolverines a four-point advantage and a lead they never lost. "My mindset was to score the ball and play good defense," said Golden. Golden's success was dictated by Fondren's excellent penetration; she was seemingly able to get into the lane any time she wanted. "We call her 'The Beast,'" said Smith. "That's been the game plan all year, to have Cornelia initiate the offense. And Cortrice, when she gets the ball one-on-one, there aren't many people who can stop her." Kenesha Jackson chipped in 11 points for Overton, which won despite scoring a combined 11 points in the second and third quarters. That stretch might have proved costly on another day, but Wilson County couldn't take advantage. "The door of opportunity was open," said Lady Wildcats coach Bud Brandon. 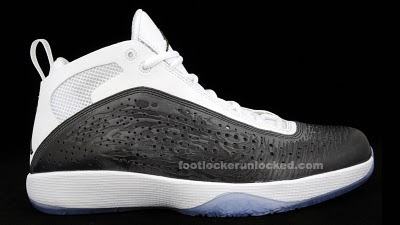 "We thought their size and athleticism would bother us, but it didn't really that much. It's just disheartening to come so far and not play your best." Syndey Vanlandingham scored 12 points for Wilson County, and Iesha Hassell had 11 and 10 rebounds. The Manassas High School girls basketball team lost in its first state tournament game today, falling to Macon County, 45-43, at the Murphy Center on the campus of Middle Tennessee State. Victoria White led the Tigers with 12 points, while Jamille Reed had nine, including a big 3-pointer that tied it at 41-41 with two minutes to go. But Calamity Jane Coley blocked White on a drive down the lane that could have put Manassas ahead, then scored a big hoop inside to put her team ahead 45-41 with 14 seconds left. Manassas, the Region 8 champion, ends the season with a 27-8 mark. Freshmen guards Jasmine Newsome (Millington) and Heather Butler combined to score 45 points and lead The University of Tennessee at Martin to an 82-76 victory over Tennessee Tech and the Skyhawks first-ever Ohio Valley Conference Tournament championship Saturday afternoon at Municipal Auditorium. With the victory UT Martin claims the OVC's automatic bid to the NCAA Tournament. The Skyhawks will learn their fate Monday, March 14, when the NCAA selection committee unveils the brackets for its 64-team tournament. Newsome led all Skyhawk scorers with 24 points. She was named the tournament's Most Valuable Player. Butler, also named to the all-tournament team, scored 21 points. Manassas (27-8) vs Macon County (28-3), 4 p.m. today: The Tigers have done a great job reaching the BlueCross state tournament for the first time in school history, but coach Tommy Warren will make sure his team isn't happy to just be there. Manassas has been playing its best basketball at just the right time, and the Tigers have a good shot at bringing the AA title back to Memphis for the first time since Hillcrest claimed the gold ball in 2006. Tiffany Jones, a 6-foot sophomore, led the team in scoring during the regular season (13.3 ppg) while 5-8 senior Victoria White averaged 8.6. Junior Jamille Reed (5-10) and senior Naudia Crisp (5-8) are other key contributors. Warren substitutes early and often and the Tigers like to pressure their opponents from the opening tip. Macon County beat Waverly Central, 41-38, on a 3-pointer at the buzzer in a sub-state matchup last Saturday. Overton (29-6) vs. Wilson Central (26-5), 2:30 p.m. Thursday: The Wolverines are making their third straight trip to the state tournament. And with such a veteran group, you can pencil in coach Lynn Smith's squad as a serious contender. Overton has good size inside, where 6-foot junior Cortrice Golden (11.0 ppg) and 6-1 junior Briana Neal patrol the paint. Cornelia Fondren, a 5-9 junior, led the Wolverines in scoring (12.5 ppg) while 5-8 junior Jasmine Stafford chips in with 8 points per game. Philecia Atkins, a 5-4 freshman, is a very dependable 3-point shooter, while 5-3 senior Kenesha Jackson offers a steady hand and good leadership. Forward Taylor Peterson scored 23 points as Wilson Central defeated Hunter's Lane, 52-43 in the sectional, while Iesha Hassell shoots 61 percent from the floor for the Wildcats. Central (26-9) vs. Murfreesboro Blackman (24-6), 5:30 p.m. Thursday: It would be hard to imagine a team going through more adversity over the course of a season than the Lady Warriors. In December, while Central was in Phoenix for a tournament, a Central student who was friends with several of the players was shot and killed. Then last week, former Warriors standout Tina Stewart was stabbed to death with her roommate at Middle Tennessee State being charged. 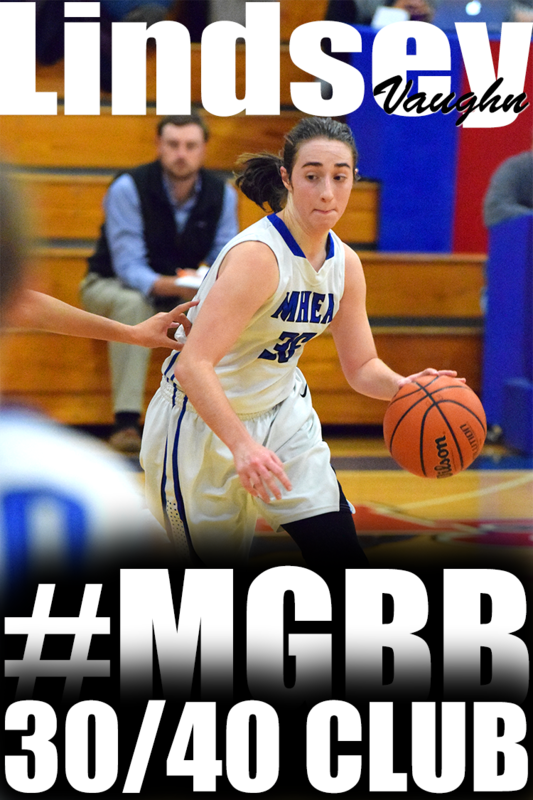 Focusing on basketball under such circumstances is obviously very trying, but Niki Bray's squad will do its best as it tries to bring home Shelby-Metro's first AAA girls title since Melrose in 1985. On paper, the Warriors are as talented as any team in the field; 5-10 junior Aaliyah Whiteside led the team in scoring with 13.6 ppg, with 5-9 sophomore Nina Davis right behind (13.4). Danielle Ballard, a 5-8 junior, orchestrates the offense while averaging 13.3 points, 5.6 rebounds, 3.6 assists and 4.5 steals per game. If Central can get good production from someone else -- Tia Wooten (7.9 ppg) or Jalen O'Bannon perhaps -- it will be very tough to beat. All state tournament games will be streamed live on tssaa.org. Saturday's championship games will be on WKNO-TV Channel 10. 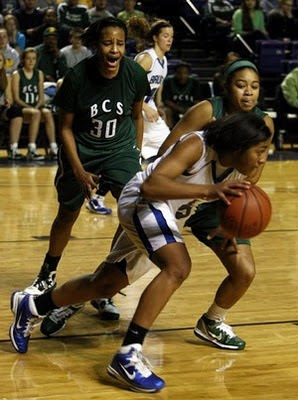 Girls Preparatory's Chadarryl Clay drives past Briarcrest's Lauren Douglas (30) and Robyn Peete. It took Chattanooga Girls Preparatory School a whole half to get its offense going Saturday. Turns out, one half was all the Bruisers needed. GPS rallied from a 13-point halftime deficit to defeat Briarcrest Christian, 55-50, at Lipscomb University's Allen Arena, denying the Saints their fifth state championship. The Bruisers went into the locker room down 30-17, but they got their running game going and outscored the Saints 38-20 over the final two quarters. "We just got away from playing Briarcrest basketball," said Saints coach Lee Smith. "We just stopped doing the things that made us successful. We looked like we were two steps slow in the second half. We played like our feet were in quicksand." Shooting also let the Saints down: Briarcrest was 50 percent from the floor in the first half but just 33 percent (7 of 21) after. Lauren Douglas had a fine game for the Saints, scoring 21 points and grabbing 14 rebounds. But she picked up her fourth foul midway through the third quarter and had just one point after halftime. Briarcrest made just one basket over the last 61/2 minutes. "We got too comfortable after halftime," said Taylor Pugh, who had five points and 15 rebounds in her last game for the Saints. And of course, the improved play of the Bruisers (23-1) didn't help. Tournament Most Valuable Player and Miss Basketball winner Chadarryl Clay said her team took coach Susan Crownover's halftime speech to heart. "She just told us the first half was over, forget about it," she said. "We knew we had to pick it up on defense and take control on offense." Jeneh Perry, who picked up two fouls in the first quarter to earn a quick seat on the bench, was instrumental in keeping Douglas from duplicating her first-half success. "She just said, 'I'm going to shut her down,' and she did," said Clay, who battled through 4-for-18 shooting to finish with 12 points and six rebounds. Emoni Harvey scored in the paint to cut GPS' lead to 49-48 and after a GPS turnover, the Saints got the ball back with a chance to go in front. They worked inside to Douglas, who missed, and GPS got a back-breaking 3-point play from Tori Kemp to make it 52-48 with 27 seconds left. Adrienne McKay hit two free throws to cut the lead to two and Clay answered with one more to make it 53-50. Douglas then got a good look at a 3-pointer from the top of the key but missed, and GPS salted it away with two more from the line. "Our goal was to win a state championship, and we came up short," said Douglas. "We fought hard all season long. We did the best we could." The opportunity was there so that Horn Lake didn't have to share the Mississippi High School Activities Association basketball record books with Hernando anymore. But Saturday night's 66-63 loss to Northwest Rankin at Jackson's Mississippi Coliseum prevented the Lady Eagles from capturing their second consecutive MHSAA Class 6A state championship. It also kept them tied in overall hoops titles with the 1969 Hernando squad, coached by current DeSoto County school board member Theron Long. The Lady Tigers were Class A champs. It was a rematch of the North Half championship played Feb. 19 at Horn Lake. 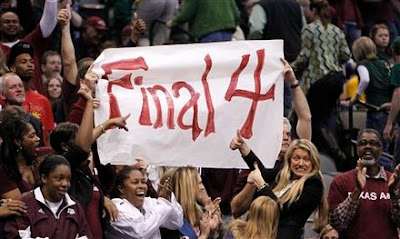 On that day, the Lady Eagles earned a 53-42 win and later defeated Meridian in the state semifinals. Arkansas-Monticello signee Taylor Beverly had a state tournament to remember for Northwest Rankin (24-8). 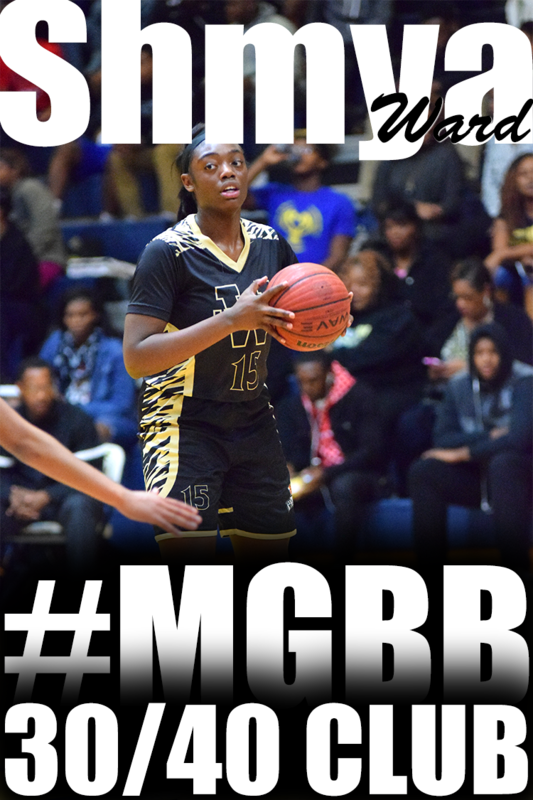 The senior forward followed up her 26-point performance in Wednesday's semifinal victory over Jim Hill with 28 points and 12 rebounds against Horn Lake. The last of her game-high seven blocks came with one second remaining, which denied the Lady Eagles from potentially tying the contest. "Biggest play of the night," said Lady Cougar coach Angela Reynolds. "I told her any time she felt like she was getting tired, look over at the gold ball (the championship trophy). "Words just can't express how I feel right now. I'm excited. The girls are excited. We came a long way," Reynolds said. The Lady Eagles drew up their last shot during a timeout with 3.7 seconds left. "We had a couple of good options," said Horn Lake coach Janna Lyons, "but Beverly got a strong block and that cut our chances of knocking down that basket." Horn Lake (23-4) never led in the contest, yet exhibited plenty of determination by rallying from a 12-point deficit at the start of the fourth period. 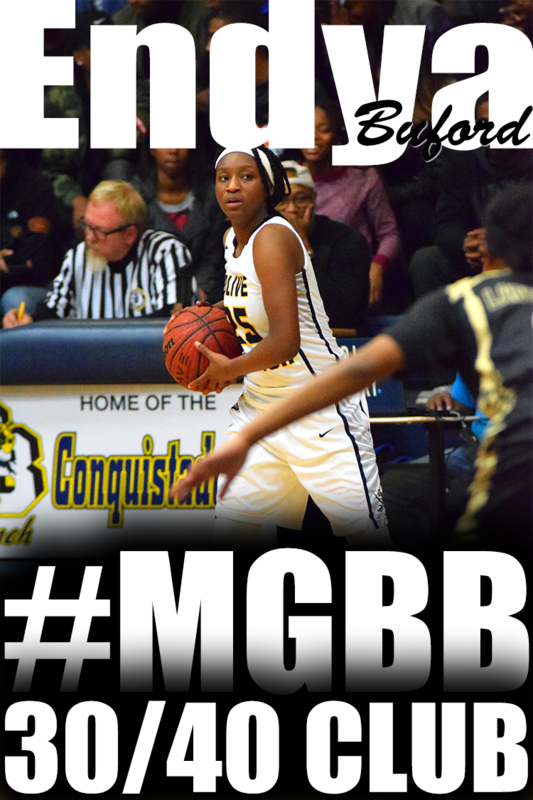 Lytia Coleman's 3-pointer cut the NW Rankin lead to 49-48 with just under five minutes remaining. Another spark plug was Brittany Grant, who scored 14 of her team-high 20 points in the fourth. Also finishing in double figures for the Lady Eagles was Coleman (14), Rosalyn Odum (11) and Savannah Kimmons (10). Said Lyons: "Tough loss. In the locker room, I might have been a little not-too-sympathetic to them, but I told them I hope it burns and they can remember it so that we don't have to feel that same way next year at this time." This was NW Rankin's first appearance at the state tournament. Reynolds was a member of the 1994 Pearl team that won the Class 5A title. Parris Ladner, a freshman, and Santoya Bilbro each scored 11 points for the Lady Cougars. Manassas girls basketball coach Tommy Warren is a self-proclaimed visionary. That explains why moments after the Lady Tigers’ convincing win over Trezevant in Wednesday’s region final, Warren suggested that his players pack their bags, as if they had already punched their ticket to the state tournament. Well, Warren's vision was accurate on Saturday night as the Tigers advanced to Murfreesboro and this week's Class AAA state tournament by defeating McNairy Central, 60-52, in the TSSAA Class AA sectionals. 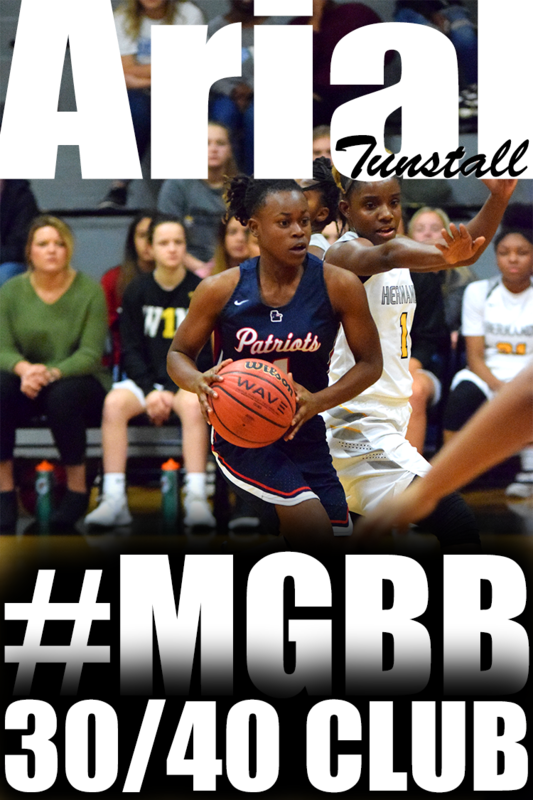 A raucous crowd at Manassas saw the Lady Tigers (27-8) overshadow their early-game jitters and poor first-half shooting to earn their first ever trip to the state tournament that begins this week at Middle Tennessee State University’s Murphy Center Complex. Manassas, after spending a majority of the game being limited to just one shot, appeared more aligned and assertive in the final quarter against a tired looking McNairy Central team that went scoreless the first 5:31 of the fourth quarter. Winners of five straight, the Tigers went ahead, 45-44, for the first time in the contest on Victoria White’s soft runner off the glass with 7:31 remaining in the fourth, a lead they would never relinquish. They held the Lady Bobcats --- who shot 50 percent from the floor in the first half --- to just 2-of-10 field goals in the final frame. After junior center Jamiee Bond drained a 3-pointer for good measure to produce the final margin just before the horn sounded, the Tiger student section stormed the court in jubilation. When Cordova senior Gabriella Hernandez hit a pair of free throws with 2:46 left in the second quarter of Saturday night’s Class AAA sectional game, the Lady Wolves, playing on their home court, trailed Overton by just six points. But it was all Overton after that. Cordova committed three straight turnovers in the middle of a 14-2 Overton run that didn’t end until the 2:07 mark of the third quarter. Overton (29-7) cruised from there to earn a 53-37 win and a third straight trip to the Class AAA State Tournament, which begins Thursday in Murfreesboro. Junior Cortice Golden, a 6-0 post player, was the biggest reason for Overton’s win. She was unguardable for most of the game, scoring eight points in the first quarter and finishing with a game-high 18. Cordova (21-8), which finished third in District 14-AAA, pulled off three upsets in the region tournament to earn the right to host a sectional game, but appeared to fatigue late against a bigger and faster Overton squad. Overton junior Cornelia Fondren, who finished with 17 points, scored the final four points of the first half to give the Lady Wolverines a 25-13 halftime lead. In the third quarter, Overton’s swarming defense began to takes its toll, forcing multiple turnovers. Overton freshman Philecia Atkins, who finished with 11 points, hit a 3-pointer with 4:34 left in the third quarter to push her team’s lead to 32-15. Cordova never got closer than 12 points the rest of the way. Six seniors graduated from an Overton team last year that advanced to the state semifinals. 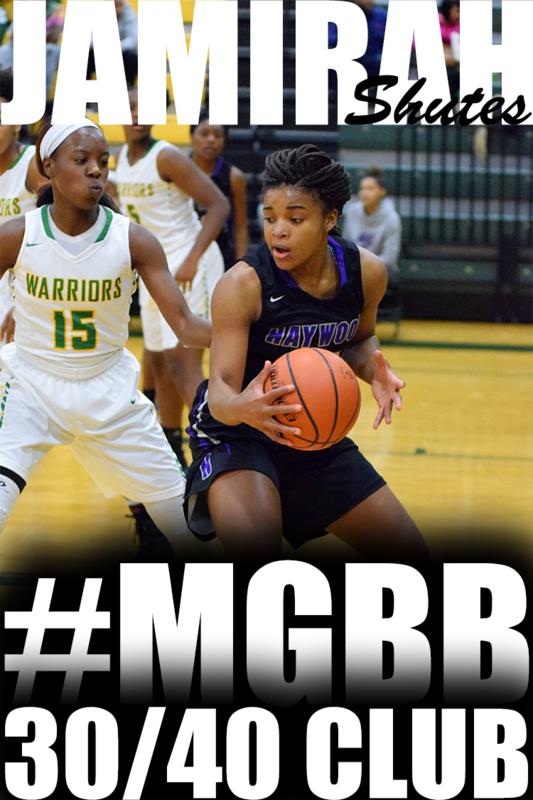 Hernandez led Cordova with 16 points and senior Taylor Jeffries added 12. Lauren Douglas scored 18 points and made a big block down the stretch to help the Briarcrest girls defeat Nashville Ensworth, 44-37, in the semifinals of the BlueCross state basketball championship today at Lipscomb University's Allen Arena. 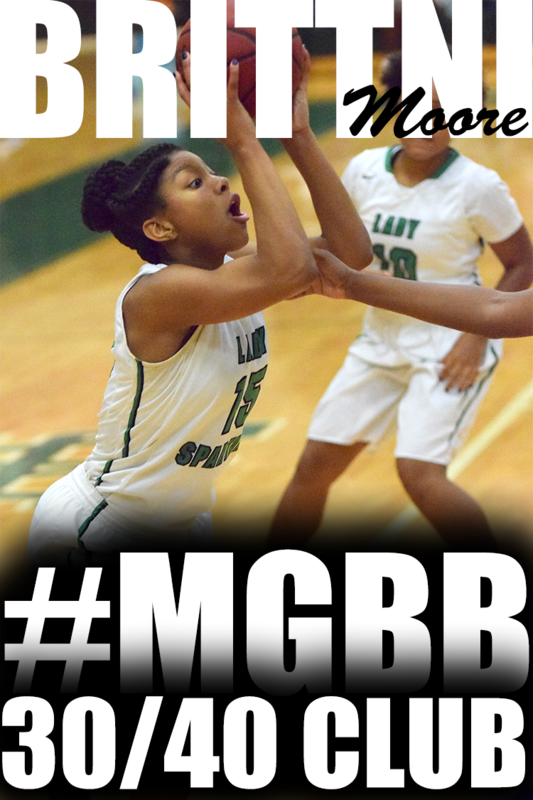 The victory puts Briacrest (24-5) in Saturday's championship game against Chattanooga Girls Preparatory School. GPS eliminated St. Benedict ealier in the day. The Lady Saints will be seeking their fifth state title and first since 2004. The season came to an end for the St. Benedict girls basketball team today, as the Eagles lost to Chattanooga Girls Preparatory School, 61-45 in the semifinals of the BlueCross Division 2-AA at Lipscomb University's Allen Arena. The fast-breaking Bruisers (22-1) built a 15-point first quarter lead and the Eagles never really recovered. Miss Basketball finalist Chadarryl Clay had 16 points to lead GPS, the tournament's top seed. Drake signee Symone Daniels, also a Miss Basketball finalist, led St. Benedict with 10 points before fouling out late in the game. Daniels went scoreless in the first half and was the only Eagle in double figures. No, Alexis Hardaway isn't 6 feet tall - like three of her H.W. Byers teammates. No, she's not a Dandy Dozen selection - like one of her teammates. But Thursday night, on the biggest stage of high school hoops, Hardaway filled in when her taller teammates fouled out. She scored 18 points to help H.W. Byers beat Coldwater 48-43 for the Class 1A state championship, continuing the school's recent dominance at Mississippi Coliseum. 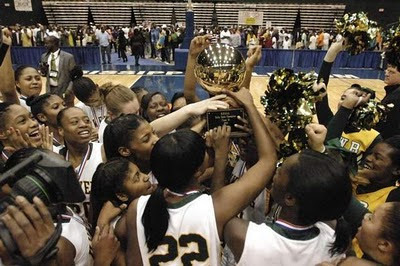 The Lady Lions (29-8) won their third state crown in the last four years, reigning supreme in small class hoops and pushing their coach's decade turnaround to even higher heights. In his 10th year, Jason Thompson has turned tiny Byers from doormat to dynasty. Fayette Academy's Emily Reeves drives to the hoop on the way to 16 points in the TSSAA Division 2-A state tournament. Kelly Vittetoe (left) and Addie Tomlin of Webb School defend. The Fayette Academy girls basketball team won't reach its goal of a state championship, but the Vikings accomplished something pretty memorable Thursday. "We have 260 students in our school and I think all 260 were here," said Vikings coach Rick Sullivan. "These girls shut down the school." Fayette Academy gave their supporters plenty to cheer about before falling to Webb, 53-47, in the semifinals of the BlueCross Division 2-A girls basketball tournament at Allen Arena on the campus of Lipscomb University. "These girls fought their little hearts out," said Sullivan. "I've been coaching for a long time and I'm as proud of this team as any I've ever had." The Vikings, who finish the year at 28-2 were making their first state tournament appearance in school history -- and played like it early, falling behind 8-0. But thanks to some big buckets by sophomore guard Emily Reeves, Fayette Academy led by two after one (17-15) and was only down seven at halftime. Considering they had 19 turnovers in the first half, it was quite an accomplishment. "They had a really great press," said Emily's sister Samantha, who battled all game long to finish with 13 points and nine boards. "They put us under a lot of pressure." The intensity level ratcheted up a couple of notches after the break, especially the matchup between Emily Reeves and Webb star Marjorie Butler, a Miss Basketball finalist who finished with 27 points. Emily Reeves (16 points) was fouled on a 3-pointer with 53 seconds left and knocked down all three, bringing Fayette Academy to within three at 49-46. Moments later, with the score 50-47, she got loose underneath and had a good look to bring her team even closer but missed and Webb put the game away with free throws of its own. "It was a roller coaster," said Sullivan. "We played ourselves out of the game, then we played ourselves back in." Said Webb coach Shelley Collier, whose team improves to 27-5, "We fouled too much and put them on the line a lot. 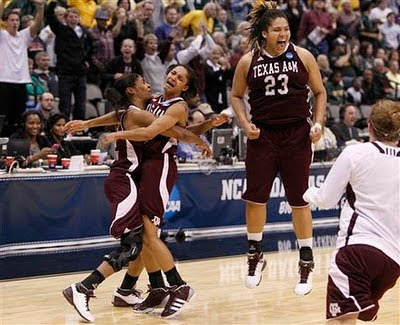 It was ugly, but we're glad to be playing on Saturday (in the title game.)" A size disadvantage and a cold shooting game spelled the end of Harding's reign as D2-A champions, as the Lions lost to Franklin Road Academy, 51-33. "They came out and did a great job," said Lions coach Becky Starks. "They did a great job of sagging in on our shooters. We weren't able to do the things we do well." Mariah Canady led Franklin Road (26-3) with 18 points, while 6-1 post player Abby Wharton added 15. After a solid first half, the Lions (19-8) went ice-cold after the break, shooting 20 percent from the field. 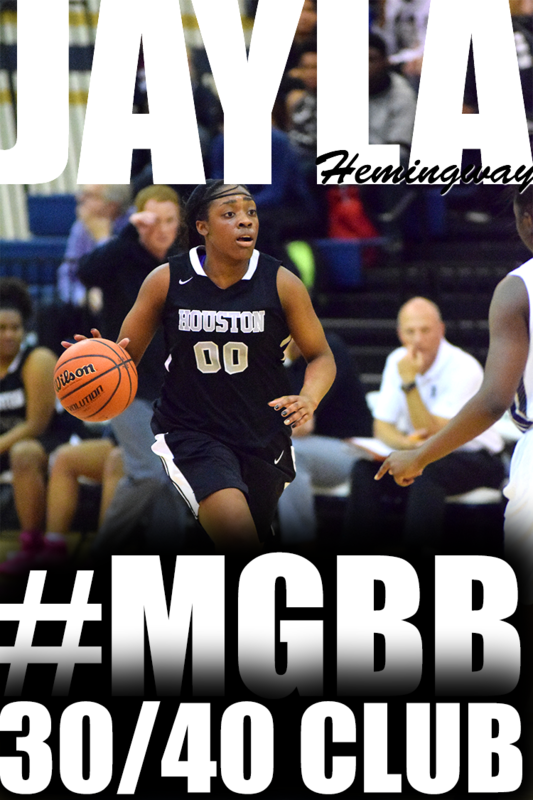 Star sophomore Kaylah Keys, who led Harding with 20 points, was 2-of-13 after a 4-of-6 first half effort. No other Harding player had more than one basket. 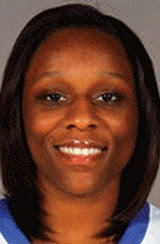 Middle Tennessee basketball player Tina Stewart, a Memphis resident who was a star guard for Central High, was stabbed to death at her apartment close to campus, authorities said Wednesday night. Cordova senior Gabriella Hernandez had practiced the pressure-packed situation she found herself in Wednesday night in the Region 7-AAA Tournament title game at Munford High School. With seven seconds left in regulation and her team down by two, she walked to the free throw line and made both of them to send the game into overtime. The Lady Wolves took control midway through the extra period and defeated Hardin County going away, 65-55. There was more relief than joy on the faces of Central's players as they went to claim their third straight Region 8-AAA girls basketball plaque following a 52-41 victory over pesky Overton Wednesday night at Collierville. That went double for Warriors coach Niki Bray. One by one, young and old, Manassas alumni members gave congratulatory hugs and handshakes to Lady Tiger girls basketball coach Tommy Warren. They were, after all, among those who seemed just as thrilled about the history the Lady Tigers produced Wednesday night against Trezevant in the TSSAA Region 8-AA championship game. 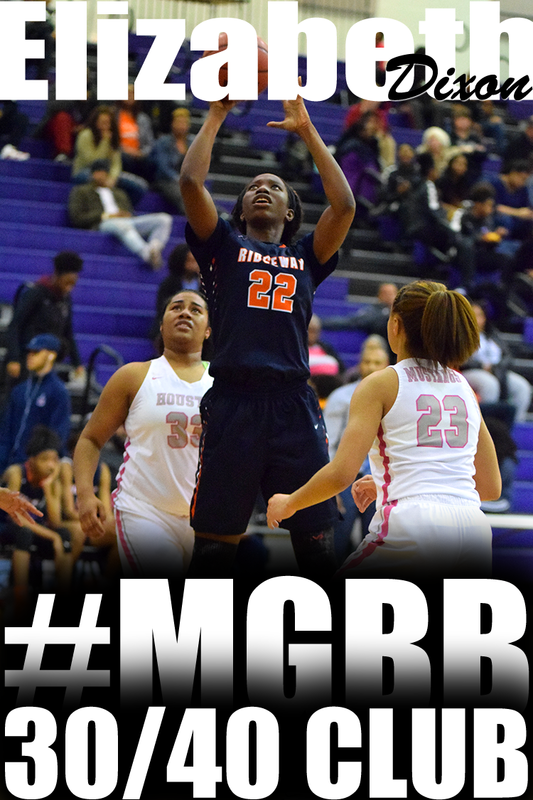 In the fourth meeting this season between the teams, Manassas quickly jumped out to a sizable lead against the Lady Bears at Northside High and never took its foot off the gas in cruising to a 65-52 victory that claimed its first ever region championship. Wednesday was an entirely different story. In winning their third straight, the Lady Tigers (26-8) led the entire game, raced to a 15-4 lead after the opening quarter, and held the Lady Bears (18-7) without a field goal the first 10:22 of the game. One week removed from dropping a one-point decision to Trezevant in the District 15-AA championship, Manassas continued to surge as junior combo guard Denise Johnson orchestrated the Lady Tigers’ offensive charge with nifty no-look passes that led to easy baskets in transition and, ultimately led to their largest lead of 21. With the win, the Lady Tigers will a Class AA sectional game Saturday against McNairy Central (24-7), which lost, 70-56, at home to Liberty Tech (27-4) Wednesday night in the Region 7-AA final. Trezevant, meanwhile, will travel to Jackson play Liberty Tech. Shaney Cunningham scored 15 points and fellow senior Tiffany Jones, the Lady Tigers top scorer who averages 12.3 points per game, had 9. Lille Pittman scored 15 points and Jasmine Pittman added 12 for the Lady Bears, who saw their four-game winning snapped. Harding Academy girls (19-7), last season’s state champ, is back, opening up against Franklin Road Academy (25-3) at 2 p.m. Thursday. Miss Basketball finalist Kaylah Keys has been sensational all year for Becky Starks’ Lions, leading the city in scoring at just over 24 points per game. Last year’s tournament MVP has a good supporting cast too, led by junior guard Ki’ana Christy. Fayette Academy girls (27-1) beat Harding in the west region final and has a great shot to win its first state title. Sisters Emily (a 5-7 sophomore) and Samantha (a 6-0 junior) Reeves lead the way for Rick Sullivan’s team, which opens against Knoxville Webb (26-5) at 5:15 p.m. Thursday. Webb ended Fayette Academy’s season with a quarterfinal victory last season. 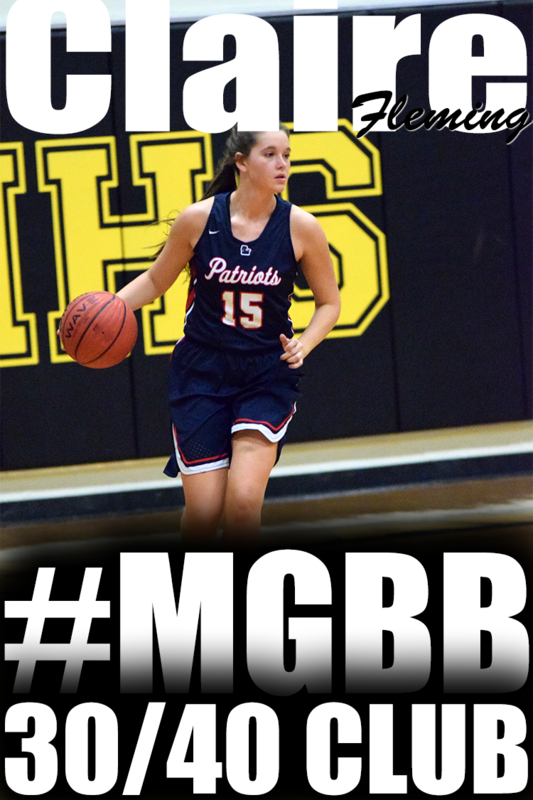 Briarcrest Christian girls (23-5) were always going to be right in the mix, but Lee Smith’s club has only improved thanks to the addition of Lauren Douglas. Douglas, a 6-0 junior, transferred from Houston High and only became eligible in late Feb. But she teams with Taylor Pugh to form a potent inside tandem that will be hard to stop. The Saints open at 5:15 Friday against Nashville Ensworth (20-8), which is led by former Bartlett boys coach Hubie Smith. 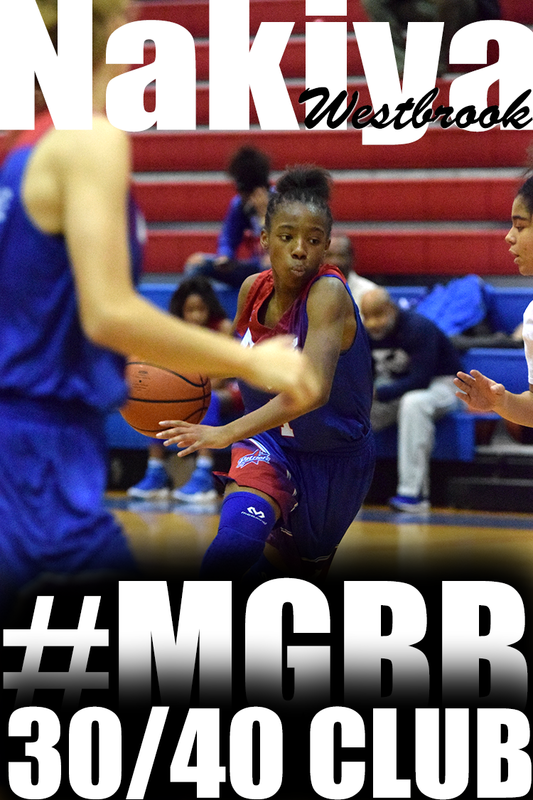 The other Memphis girls team, St. Benedict, got handed a tough draw. Don Sebren’s Eagles (23-6) open Friday at 2 p.m. against the top team in the state, Chattanooga Girls Preparatory (20-1). SBA will need its usual strong effort from Drake signee and Miss Basketball finalist Symone Daniels and if Ashley Magnifico can knock down some early jumpers, there could be an upset. The Horn Lake girls basketball team will play for its second consecutive Mississippi High School Activities Association Class 6A state championship after defeating Meridian, 53-47, in the state semifinals today at Jackson’s Mississippi Coliseum. Horn Lake (23-3) will meet either Jim Hill or Northwest Rankin Saturday at 7 p.m.
Against the Lady Wildcats, Savannah Kimmons scored 16 points and had 14 rebounds. Lytia Coleman had 16 points and 12 rebounds. Brittany Grant added 11 points for the Lady Eagles, who led 26-18 at halftime. Home school basketball's 2nd ranked Memphis (MHEA) Eagles defeated home school basketball's 8th ranked Memphis FCA Nighthawks 46-30 in the National Christian Home School Region 3's Atlanta Regional Championship Game. MHEA trailed 13-11 at the end of the 1st quarter, but the Eagles clamped down defensively as they held FCA to thier lowest point total of the season. In the final three quarters MHEA held the Nighthawks to just 17 points as they cruised to their second consecutive Regional Championship. The Lady Tarheels will be hosting a 3-week Tuesday night basketball league. Each team is guaranteed 6 games. With a single game elimination championship at the end of the league. The cost is $80.00. This will be competitive. Grades are 5th-9th grade. THIS IS HUGE FOR GIRLS BASKETBALL!!! Through an extended partnership with When We Were Young Productions/PlayOn Sports, ESPN3.com will air all girls' high-school championship games from Indiana, Illinois and Tennessee. Saturday, March 5, will be a particularly busy day with ESPN3.com carrying eight championship games from all three states. Friday, March 4: Illinois 3A semifinal, 1 p.m.; Illinois 3A semifinal, 3:15 p.m.; Illinois 4A semifinal, 7:30 p.m.; Illinois 4A semifinal, 9:15 p.m. Saturday, March 5: Indiana A final, 9:30 a.m.; Indiana 2A final, 11:30 a.m.; Tennessee Division II Class A, 12:00 p.m.; Illinois 3A final, 4:00 p.m.; Tennessee Division II Class AA final, 4:00 p.m.; Indiana 3A final, 4:00 p.m.; Indiana 4A final, 7:00 p.m.; Illinois 4A final, 9:00 p.m. Saturday, March 12: Tennessee 1A final, 3:00 p.m.; Tennessee 2A final, 5:00 p.m.; Tennessee 3A final, 7:00 p.m.